We are a theatre school which is focused on your child's personal development. We know how much drama can help improve the social skills of young children and build their confidence. With the help of our fun, energetic and experienced teachers, that is what we aim to do. We use a number of drama games and activities through out the class and focus on themes which constantly change making class fresh each block. We have a lot of fun in the process and the journey of seeing your children grow each week. It is very important we highlight that we are not a show driven school. We are not in a rush for an end result usually in the form of a show/performance. We are here to use drama in a positive and enjoyable way for young people. WE ARE FUN DRIVEN. Everyone is entitled to a FREE TASTER session to make sure your child enjoys the class before joining. Sorry, but we have no upcoming events for Fearless Theatre School. 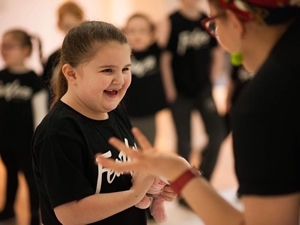 If you know of an event taking place at Fearless Theatre School or anywhere else in Glasgow tell us about it and we'll list it on the website, for free! Created to instill self-confidence, self-love, and creativity in children and adults through the arts. At DBAA we invite all abilities to come to our classes and have fun with us! The Hot Chocolate Club offer after school activities for children in P1 - P7 every Monday during term time, join them for snacks, hot chocolate and lots of FUN! You Can Uke run group ukulele sessions in the Southside of Glasgow for children in primaries 4, 5 or 6!